The MP91 is a great winter tyre for your 4x4 that ensures you get the best performance and reliability on every journey. These tyres are made from a different compound to summer and all-season tyres, which allow them to work better in lower temperatures. The improvement in traction, stability and responsiveness are all worthwhile and you’ll get a longer lifespan from both summer and winter tyres by using them in their right months. 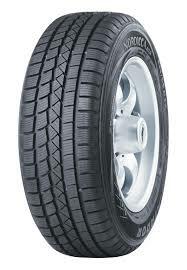 Don’t miss out on MP91 tyres from Matador.